As another exciting school year comes to a close, we celebrate the educational achievements and accomplishments of our students, educators and community members who support our youth as they prepare for the future. OIC of South Florida is very proud to have been a supporter of My NEXT MOVE 2017. This collaborative event was designed to provide guidance and support to graduating seniors as they prepare for their next move post-graduation. High School Seniors preparing for My NEXT MOVE in one of the trainings offered by OIC of South Florida, CareerSource Broward and Hispanic Unity. I cannot fully express how grateful I am to all of the partners who helped make this year’s annual “My Next Move: An Education/Career & Work Readiness Program” such a huge success. The program would not have been possible without the help of the Broward County Public Schools, the Greater Fort Lauderdale Alliance, Washington Park CEC, the Children's Services Council, OIC of South Florida, CareerSource Broward and Hispanic Unity of Florida. 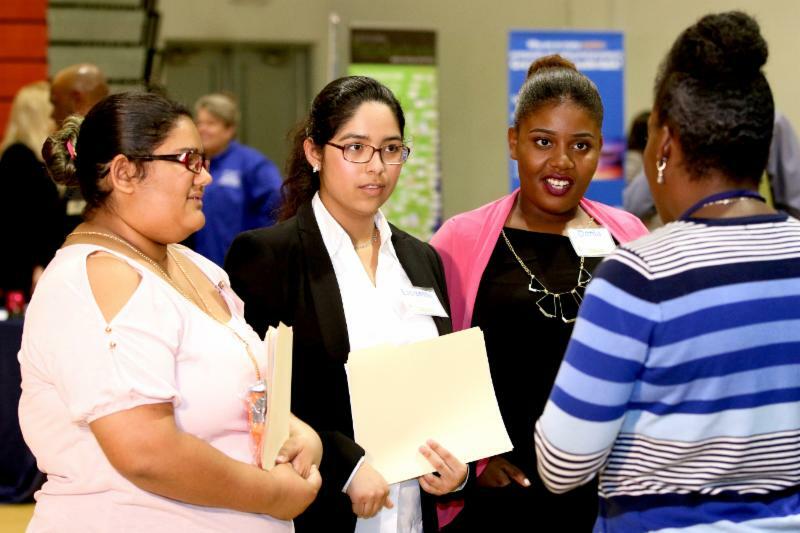 This year, the event was on Thursday, April 6th at South Broward High School for specially selected students from South Broward High School, McArthur High School, Hollywood Hills High School and Hallandale High School. It has become an annual event, and I am pleased to see that it continues to grow in new and impressive ways. 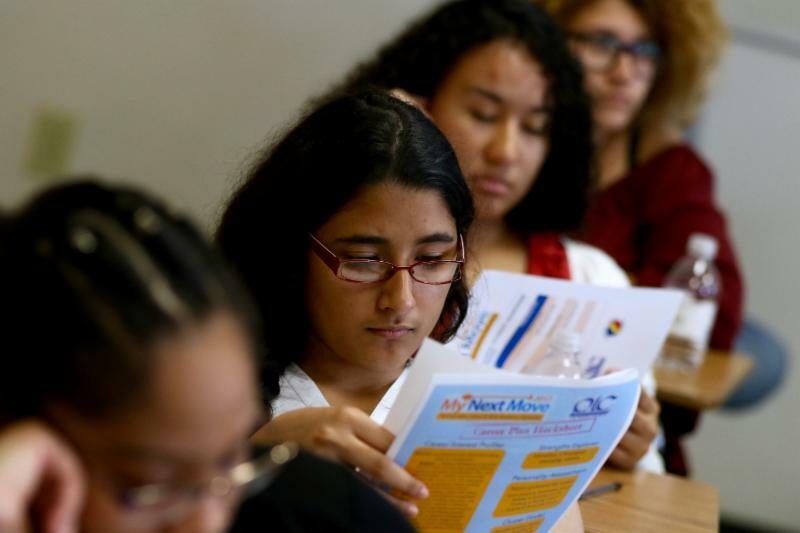 The idea for “My Next Move” came out of a series of discussions that focused on what our community can do to connect our high school graduates with meaningful opportunities for employment. Our public schools put a tremendous effort into making sure all of our students are college ready, yet every year there are hundreds of seniors who earn their diplomas without any set plans to attend college, and need direction and/or contacts in finding suitable employment that coincides with their skills and interests. These students showed up, took the tests, and passed their classes. But we should recognize that for many families, college may still be out of reach even when you play by the rules. What’s more, Broward County has seen dramatic growth in our local economy year over year since the end of the recession. This means that opportunities exist for these graduates, but we need to do more to help make connections between our high school graduates and the industries right here in our backyard. As part of “My Next Move”, these students received training in professionalism, interviewing techniques, writing an effective resume and cover letter. We understand that it takes a wide array of soft skills to succeed in today’s job market, and the individualized attention given to these students will help them for years to come. 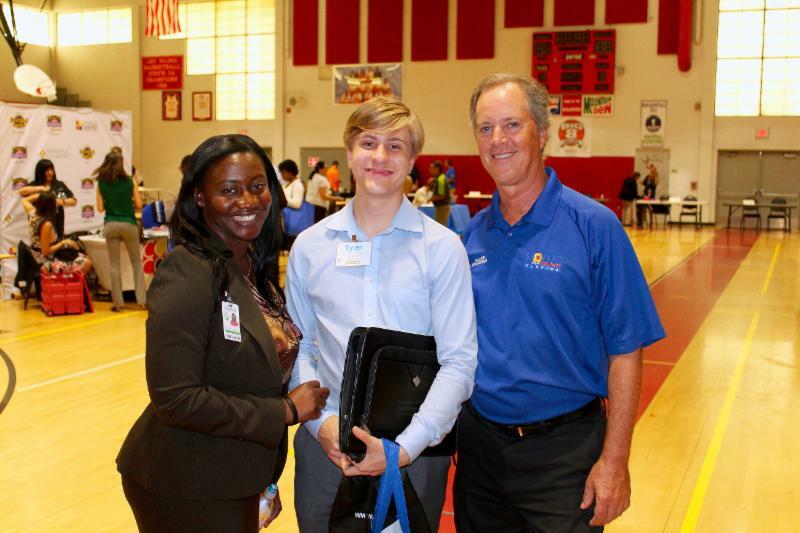 David Volz is a freelance writer and reporter living in Fort Lauderdale, Fla.
Students from McArthur, South Broward and Hollywood Hills High School had the opportunity to meet with potential employees at a special job fair geared toward seniors about to graduate called My Next Move, held at South Broward High School. The program was initiated by Vice Mayor Beam Furr and Nadine McCrea, CEO of Community Enhancement Collaboration Inc.
Broward County Public Schools Superintendent Robert Runcie spoke to the students. “Whatever you do, do it well. It is important to build relationships, skills and to network. Find out what you like to do, something you might do for free, and then do it with a passion. Treat others they way you want to be treated,” said Runcie. School Board member Ann Murray described opportunities in the trades such as welding and construction and the hospitality and healthcare industry. “An underwater welder who works on ships can earn about $100 an hour. This is a trade you can pursue,” she said. “This was a tremendous event and great for the students,” McArthur High School Principal Todd LaPace said. 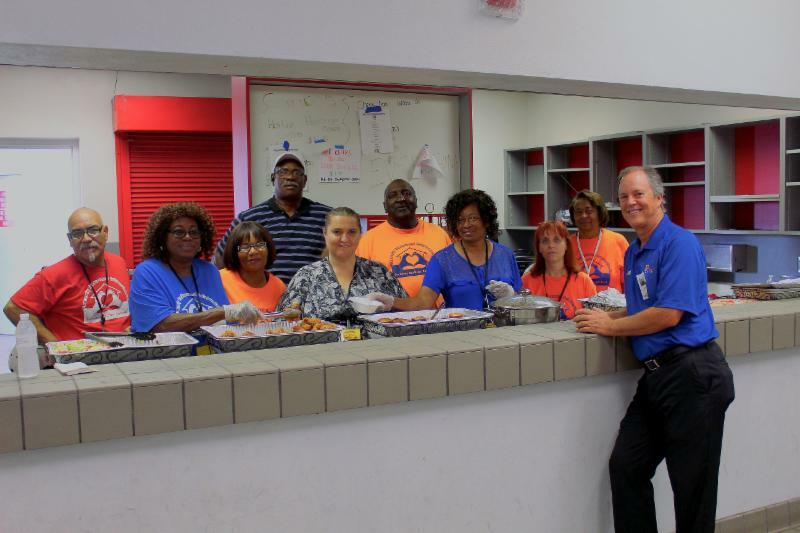 My Next Move has been working in conjunction with the Greater Fort Lauderdale Alliance, Washington Park CEC and the Children’s Services Council. 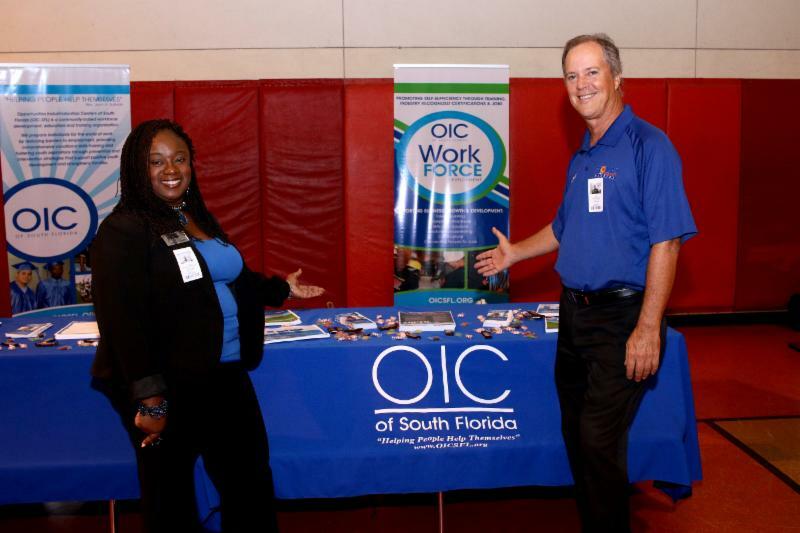 Unlike traditional job fairs, participating graduating seniors apply skills learned from workshops conducted by OIC of South Florida, CareerSource Broward and Hispanic Unity of Florida, where they received training in professionalism, interviewing techniques, writing an effective resume and cover letter, soft skills and what it takes to land a job. “We want to help the young people here,” Jose Urgiles, Walmart co-manager said. “We have a store manager who started at Walmart 15 years ago and worked his way up,” he said.